To steal anyone’s thunder for any caveats against the Ayurvedic cuisine that the food tastes like curry, I would like to give some food for thought. This article is about the taste of the food, not about its health aspects or other uses. In Sanskrit, taste is called Rasa. Does this type of cuisine really always taste the same? Let's examine the whole thing step by step. 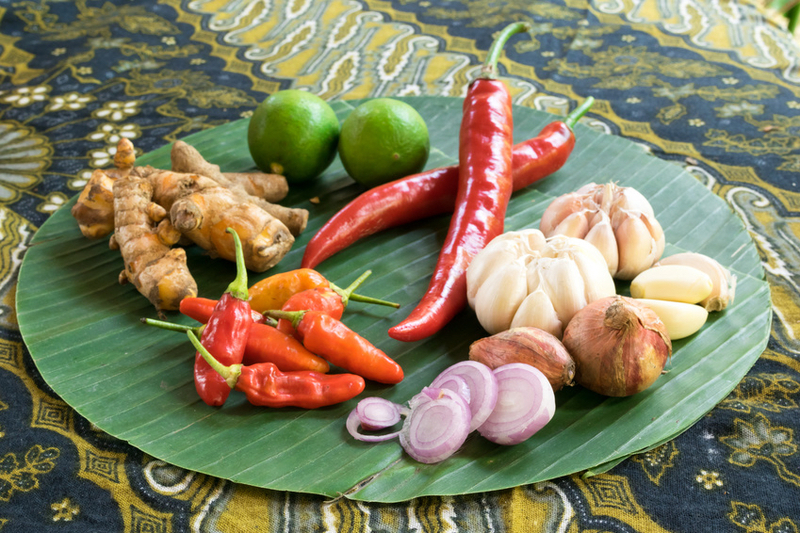 What is important in a healthy and full-fledged Ayurvedic cuisine when it comes to taste? Ayurveda recommends that the dishes are served in six flavors, namely sweet (madhura), sour (amla), salty (lavana), hot (katu), bitter (tikta), and tart or contracting (kashaya). These should occur in every meal. That means in the morning, at noon and in the evening. Below you will find a list with some examples of foods with their flavors, whilst there are of course many more. It should be noted that Ayurveda assigns food to several flavors. Do yourself a taste test, take for example spices of your choice. Put a dip on your tongue. How does cardamom or coriander taste like? Which flavors are you able to identify? Foods are reflected in the following list. This list contains various sources that I have described in the appendix as source of references, and accompanied by my recommendations of books. Which foods have a sweet taste? Which foods have a sour taste? Which foods have a salty taste component? Which foods have a sharp taste component? Which foods have a bitter taste? Which foods have a bitter flavor? As a take-away, the biggest selection of flavors can be found amongst spices and herbs. Therefore, these are very popular and used in Ayurveda cuisine. Now, depending on the recipe, we only need to make sure that all six flavors are present. If you ever have a recipe that does not contain all the flavors, you can choose from the variety of foods and spices to add what you need. And what you like or what suits your meal. For a type-appropriate diet (Vata, Pitta, Kapha) or used therapeutically, requires a holistic nutrition and health advice. If you are not familiar in this field and would like to learn more about it, have a look at the recommended books, below. The first two books are easy to understand for laymen and a good guide in everyday life. The third book is for Ayurveda practitioners, such as doctors to use, but also for therapists or nutritionists interesting. Please look, if you can order this books in english.